The Budget session will start from 29th January and the Union Budget will be tabled on 1st February. 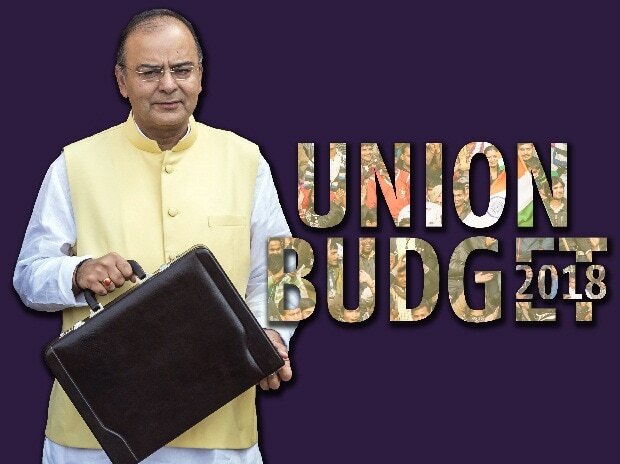 The Budget session will start from 29th January and the Union Budget will be tabled on 1st February. With less than a fortnight left for the Budget 2018-19 to be presented in the Parliament various sectors are contemplating what will be the impact of the same on them. With upcoming assembly elections in Meghalaya, Tripura, Nagaland, Karnataka, Mizoram, Chhattisgarh, Madhya Pradesh, Rajasthan, all before the general elections in 2019 for the 17th Lok Sabha some popular measures especially to woo the middleclass like modifications in the tax slabs and hike in personal tax exemptions are highly likely. But now that the adverse impact of some major reforms such as GST and demonetization behind, various sectors are also expecting sops and concessions from the Budget 2018. Mentioned below are some of the details. We have seen reforms such as RERA, Demonetization and GST being disruptive for the real estate sector, especially for the small and medium sized players. Thus the sector is now hopeful that the Budget 2018-19 will bring sops and incentives for them. Especially when the sector is one of the major contributors to the country’s GDP and is also the fourth largest in generating jobs and employment. One of the long standing demands of the real estate sector is to extend to them industry status. This will help developers raise funds at lower interest rates which will in turn help lower the project cost and thus boost demand. Although many initiatives have been taken by the Government to ease the business environment but still further cut in red tape is high on the sector’s demand list. A single window clearance mechanism for projects will be a boon for the sector. It will facilitate smooth and speedy approvals thus saving precious time and money and also help avoid delays. Reduction of GST rates on under-construction properties, enhanced tax benefits for home buyers, rationalizing of taxes on REITs are also high on the wish list of the real estate sector. Also some clarity on the previously announced Government’s dream project of Housing for All by 2022 will provide the required impetus to the sector. The automobile sector was also hit by demonetization as the demand slumped due to the cash crunch. The sector is hopeful that a reduction in excise duty especially for SUVs and cess will help boost demand. Another demand of the sector is restoration of incentives on R&D. Research and Development (R&D) especially when the government’s vision is to achieve complete e-mobility in the country by 2030 will require appropriate funds. Thus restoration of the incentives on R&D that the government reduced in form of weighted tax deduction from 200% to 150% or alternatively reduction of corporate tax liability is a major demand of the sector. Lower import duties, cut in personal tax rates, income tax benefits for individuals purchasing electric vehicles, lower taxes on import of completely knocked down (CKD) units, increased spending on upgradation of infrastructure and transport facilities and allocation of funds under FAME 2 to promote green mobility are also some of the demands of the automobile sector. Software and the Information Technology sector believe that the upcoming budget would be fairly neutral to them. But some of the demands of the sector are tax sops for research and development activities and imposition of import duty on telecom and technology products which are outside the purview of agreements signed by India. This will provide a boost to both the sector and to the Government’s Make in India initiative as well. IT sector is hot for startups, thus for startups in the sector easy access to capital and credit, tax breaks, easing of regulatory framework, improved IT infrastructure are some of the points which startups hope FM will focus on. Power sector, especially the renewables segment is expecting that the FM will have a special emphasis on them. A bulk of new generation capacity which was added in the year gone by was from non-carbon sources. Thus steps to further promote the same by providing tax incentives, new policy formulation from rural electrification is needed. Steps to boost demand, MAT exemption for solar parks and treatment of the same at par with SEZs, structural and regulatory reforms to support stranded and underperforming assets and steps to boost margins are some of the other wishes of the power sector.